Sassy Thread Catcher Class with Lynn Kidd Wednesday, April 17⋅9:30 am – 12:30 pm $30 this handy thread catcher will become your favorite sewing item! This class will give you a lesson a basic paper piecing without it being overwhelming. So a great introduction into Paper Piecing Quilting. We have some fabulous new fabrics to brighten up your sewing room too! As always ask for your class discount when purchasing your class supplies. This is an adult sewing class. You will need: Your sewing machine, cord and foot control, needles and other tools for your machine, scissors, and straight pins, and other basic sewing supplies and feet for your machine. 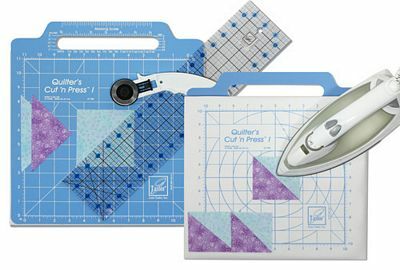 You may want to bring a Cut-N-Press (see below) (click this link to add it to your cart) that has the area to press and opposite side to use a rotary cutter to cut your tiny pieces. 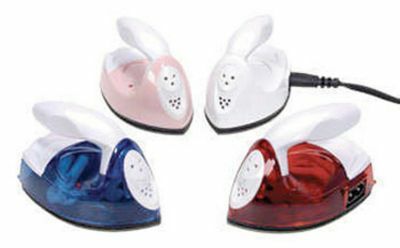 If you have a small iron you can bring that too (Click to add one to your cart). This will keep you from having to jump up and down pressing each tiny piece. Click the button below to add the Sassy Thread Catcher Class with Lynn Kidd to your wish list.